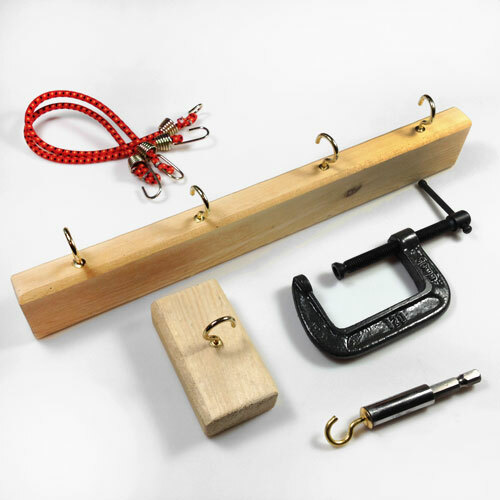 The Cord Making Tool Set includes: 1 drill attachement with a hook, 1 wood bar with a hook plus a 2 inch C-clamp, 1 wood bar with 4 hooks, 2 mini-bungie cords, 4 regular and 4 jumbo paperclips, and access to the PDF instructions. The PDF Manual available by itself HERE includes instructions on how to make your own tool set. For Project 1, you will need C-Lon Bead Cord in 1 or more colors), a reversible cordless drill, scissors, heavy duty shears or micro-tip snips, and Poly Zap Super Glue. For Project 2, add to above list, 2 mini-clamps, sterling silver clasps such as the FSS-2mm, FSS-3mm and FSS-4mm available HERE. 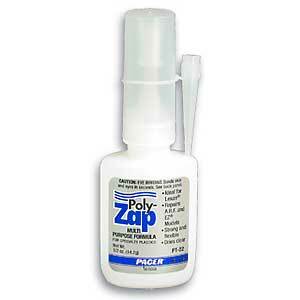 Zap Gel is an optional adhesive for this project. For Project 3, add to Project 1 list, Fray Block, Isopropyl Alcohol, Devcon 5-Minutes Epoxy, 5mm Dot Clasps and Sliders, Crystal End Clasps, and 2-3 mini-clamps or more depending on how many clasp you want to glue in at once. An awl, T-pins, and pliers are also good tools to have on hand. 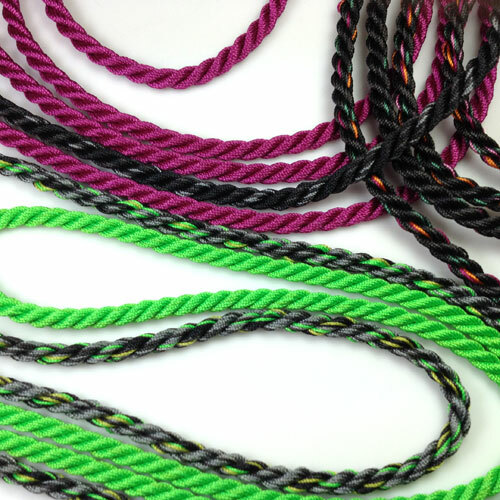 The cord making instructions just got a total makeover as of April 2018 with 3 projects, plus new techniques. Enjoy! 2, 3 & 4-Ply Cord Making, Project 1 - Adjustable Bracelet and Necklaces Cords, Project 2 - Necklace Cords with Clasps, and Project 3 - Single and Double Cable Bracelets. Great to hold anything and everything. My studio cannot operate without these. Needed for Project 2 & 3. Always wipe the top of the bottle before replacing the cap, store it upright, and pierce the top with a thin needle if the flow is restricted. This product has a limited shelf life of about a year. Keep it upright in the fridge to extend its shelf life. Perfect for Metal to Fiber - A good clear epoxy. Comes in two tubes. Even amounts needs to be mixed. Sets in 5 minutes, can be handled in 15 minutes. Full bond within 1 hour. Cures overnight. 1500 psi strength. Dries transparent. 1 oz. (28.4 g). Made in the U.S.A. Perfect for stabilizing, sizing and stiffening handmade cords - This liquid plastic prevents fraying and is also excellent for securing the ends of threads. Designed to dry clear to avoid discoloration, it also dries quickly and leaves fabric soft and flexible. Machine-washable or dry-able. 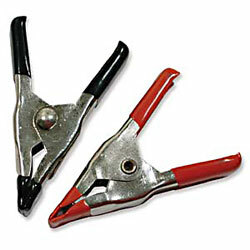 Comes with an ultra-fine nozzle-tip which allows for precise application and helps get to hard-to-reach areas. 1.5 oz./44 ml. Made in the U.S.A.
Access the PDF document 34 page long with over 67 pictures, tables and charts. This will take you directly to a Paypal checkout payable with any major credit or debit card. Once your payment is complete you will be redirected to a web page with the link to the PDFs and the password. Save the password, download the PDFs or bookmark them for future viewing.